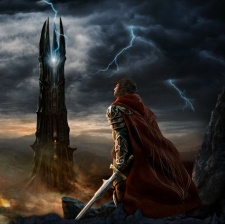 A new Lord of the Rings MMO is in development under the supervision of Athlon Games. The Digital Extremes and Splash Damage owner announced via a release that it has partnered with Middle-earth Enterprises to develop a free-to-play, “triple-A experience” set before the events of the trilogy. Athlon will be working with an undisclosed developer partner to create the MMO, which will come to PC and consoles at an undetermined future date. It’s worth noting that the project has nothing to do with Standing Stone Games’ Lord of the Rings Online, which launched back in April 2007. It’s currently unknown how the existence of a new, competing Tolkien MMORPG will affect the 11-year old title. “It’s a singular opportunity to work closely with Middle-earth Enterprises to create a completely new experience for fans of the landmark fantasy work of J.R.R. Tolkien, and we are excited about the resurgence of interest in The Lord of the Rings IP,” said Athlon president Dave Miller. Speaking with GamesBeat, Miller confirmed that the complicated web of rights surrounding Tolkien’s work influenced a decision to avoid characters and stories involved with the Peter Jackson movie trilogy. That “resurgence of interest” behind the decision to dive back into Middle Earth is likely due to Amazon Studios’ planned five-season Lord of the Rings television series, which has a reported $1 billion budget behind it.